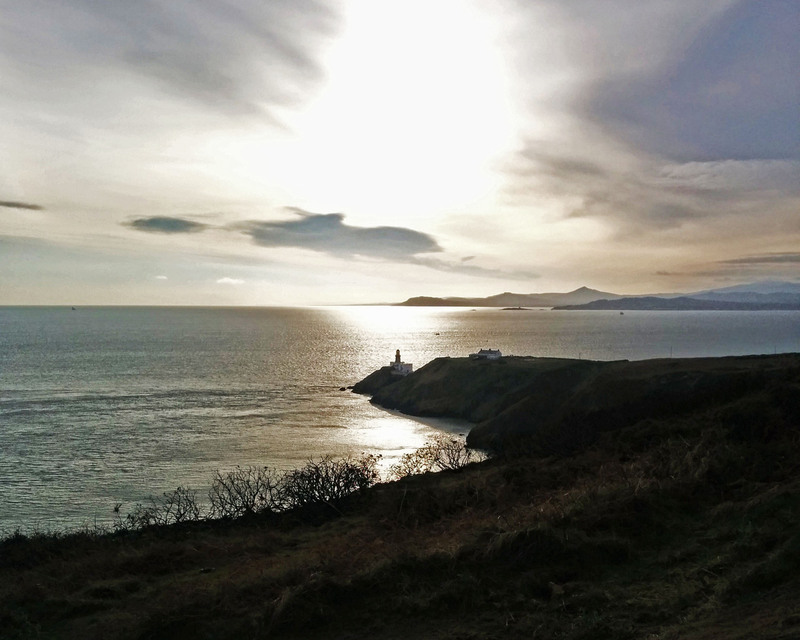 Part 1 of the Ireland series (December 2014). 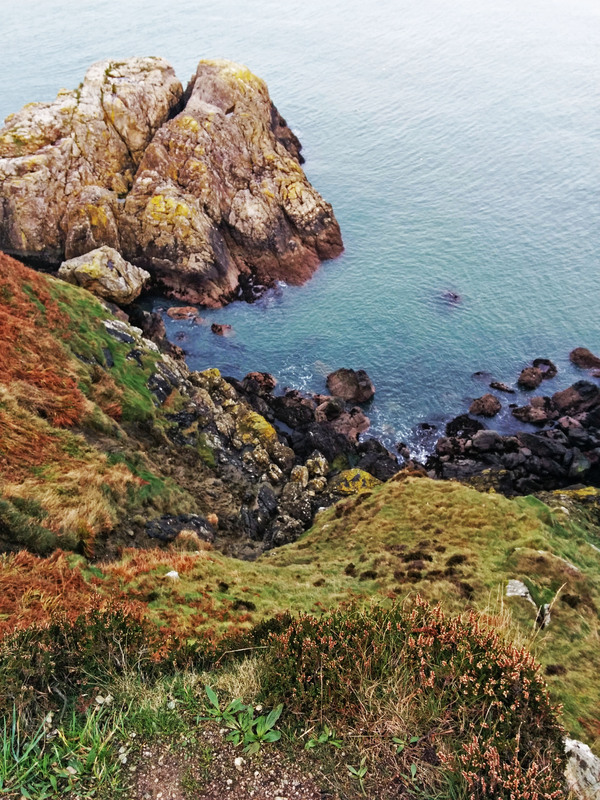 If you’re looking for an inexpensive, easy way to get out of Dublin for the day, take a jaunt to the picturesque village of Howth. 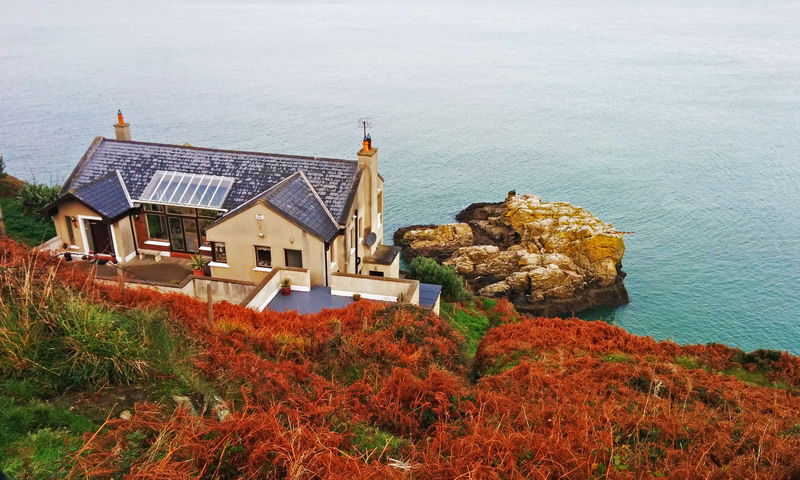 A mere half-hour train ride away, this small harbour town is a welcome break from the hustle and bustle of Dublin. 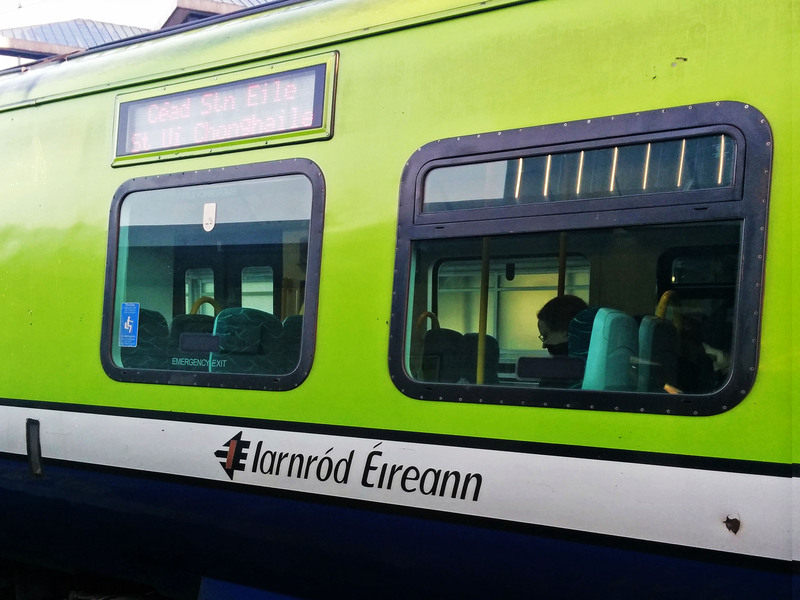 Upon arriving at the DART station in Howth, we wasted no time in getting started. 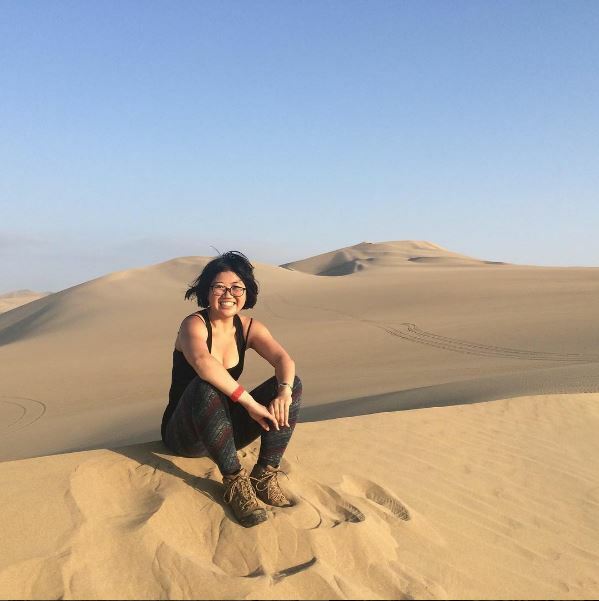 As we wanted to make the most of our time there, we opted for the two-hour Cliff Path Loop, though there are several trails of varying length and difficulty. The start of the trail is fairly unassuming and utilitarian. Trekkers share a paved road with cars and bicycles, flanked by some very swanky waterfront houses to the left and cliffs on the right. 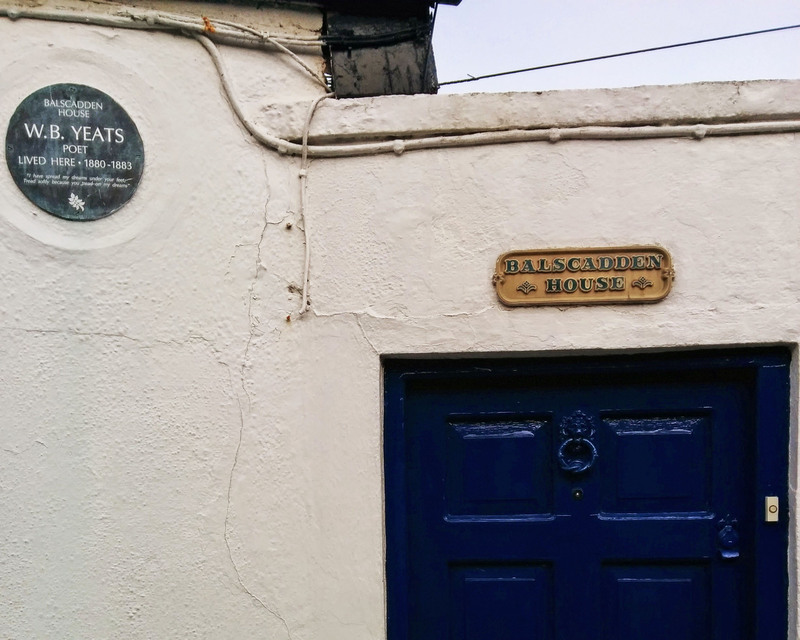 Literature lovers will especially enjoy passing by the historic Balscadden House, where a young William Butler Yeats lived from 1880 to 1883. A slow ascend into the cliffs provides magical views of milky-blue waters and rugged landscapes. Despite being there in December, there were still quite a few people on the trail. Just be sure to bundle up and bring a scarf as it does get quite windy at times! The view from the cliffs is unbelievable. This is also probably my favourite photo from Howth. Before starting on the return journey, Baily Lighthouse comes into view in the far distance. Though the lighthouse was initially built in the 1600s, this is not the original location — it was installed much further up, rendering it nearly useless on especially foggy days. Today, the lighthouse is still in operation, albeit with modern technology. In my opinion, the best way to wrap up a hike is a decadent snack or meal. 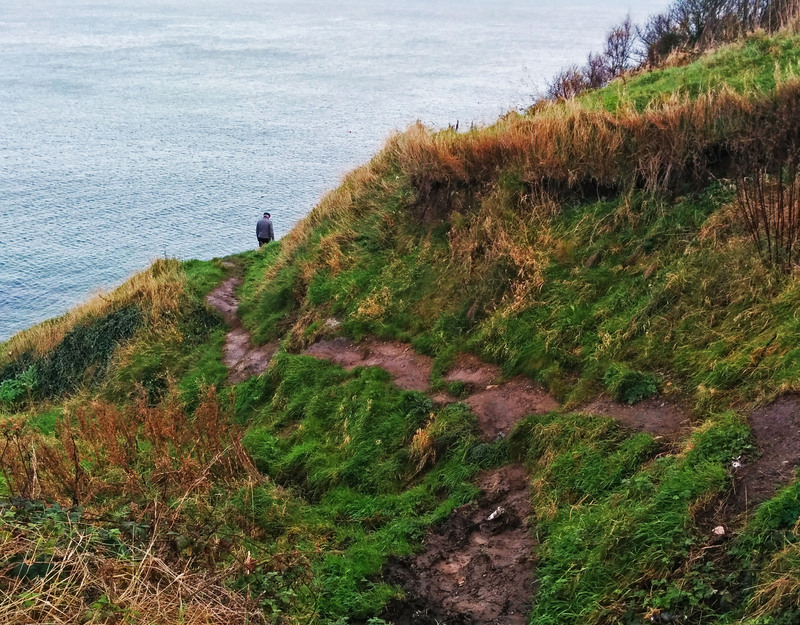 After completing the Cliff Path Loop, we satiated our hunger at Howth Market, home to stalls selling local artisan crafts, organic produce, freshly baked goods and other delicious treats. Just a hop and skip away from the DART station, we were well situated to start heading back to Dublin after our short soujourn in Howth. As previously mentioned, this is an extremely affordable day trip and a great way to see a little more of Dublin’s surrounding regions. The DART train is comfortable and a convenient way to get around. We brought our own snacks for the trail (bananas from the hostel’s free breakfast and granola bars), and only purchased food at the market after we were done.